A character escaped from the pages of a comic book and softly leaning against a wall is the business card of the Mañana lamp. Designed by Marie-Louise Gustafsson for Design House Stockholm, it entertains and amazes thanks to the originality of its design. 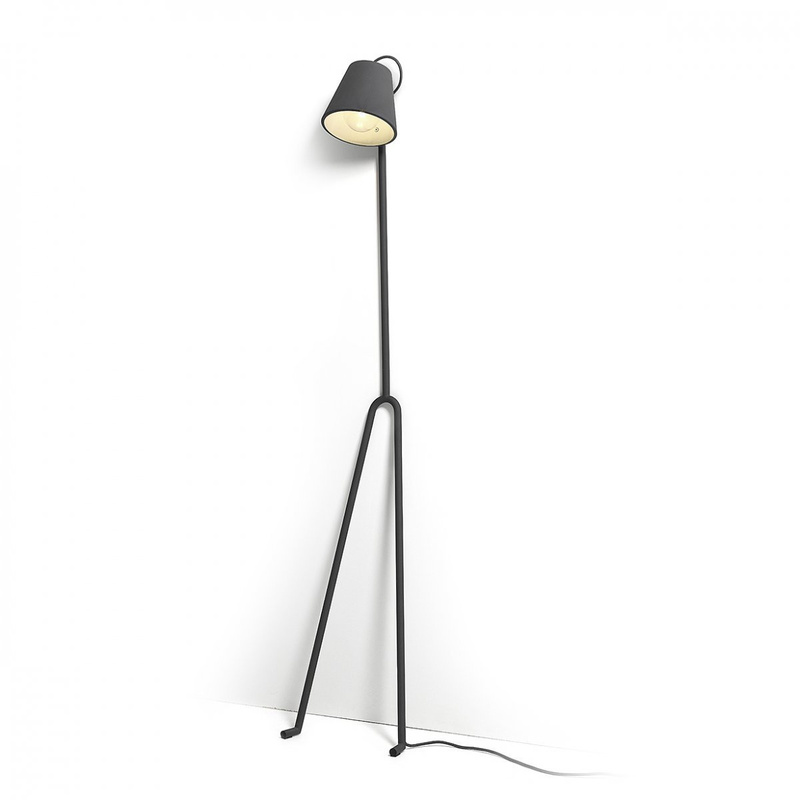 A long body and a round bulb that simulates a head is the essential structure of the lamp. Against the wall, it immediately brings to mind the appearance of the typical shapes of the comics. The body, entirely made of painted steel, is in graphite grey. 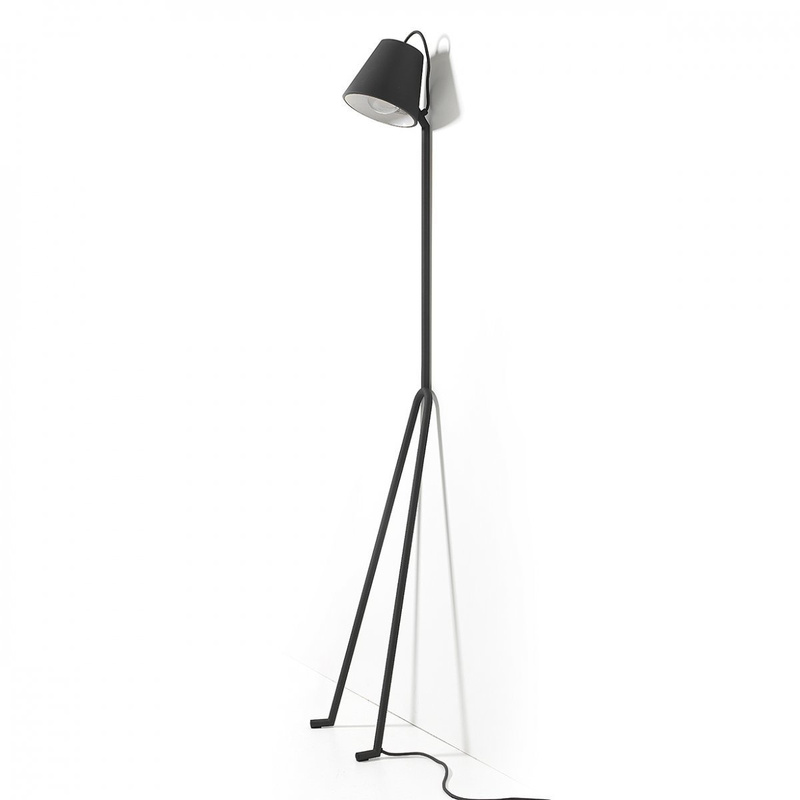 A little sagacity that weaves even more densely the link between the world of the imagination and the Mañana floor lamp. The bohemian air allows it to easily decorate any wall, becoming the protagonist or simply accompanying more important furnishings. Next to an important chair or a library, it perfectly fulfils its task. 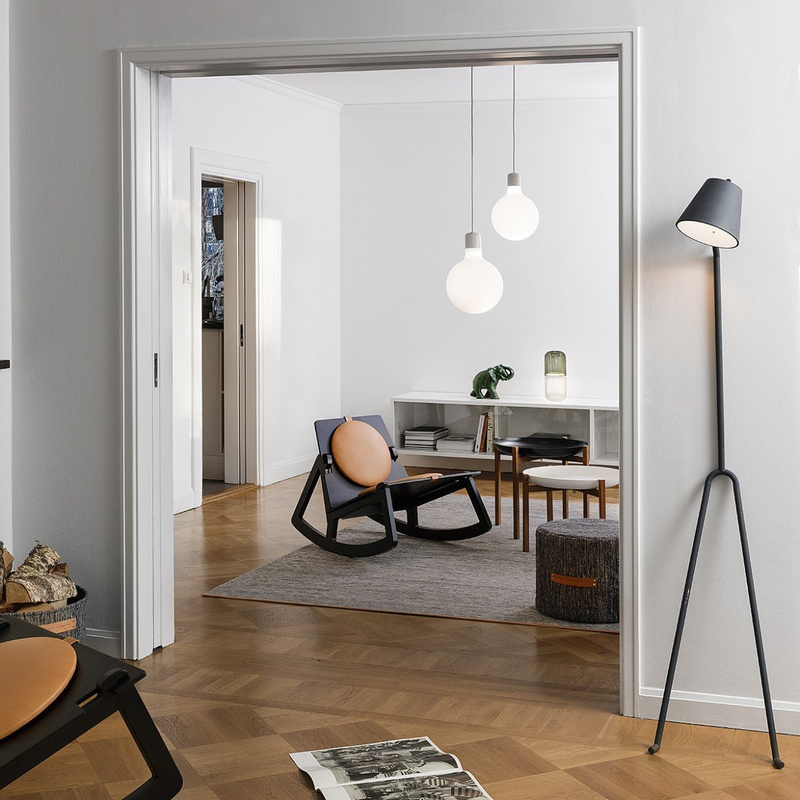 With its dimmer that allows you to increase or decrease the intensity of the light according to your needs, the Mañana floor lamp by Design House Stockholm is equipped with a swivel shade, which can be oriented where you want. Thanks to the direct light, it becomes a useful lamp for reading or for listening to the music. By virtue of these features, it finds its ideal location in the living room, where it lights up dark corners or next to the tv stand. It creates a pleasant and charming atmosphere also in the bedroom, where it can be used, for example, as a reading light. In the children bedroom it becomes the main attraction thanks to its modern and ironic character. 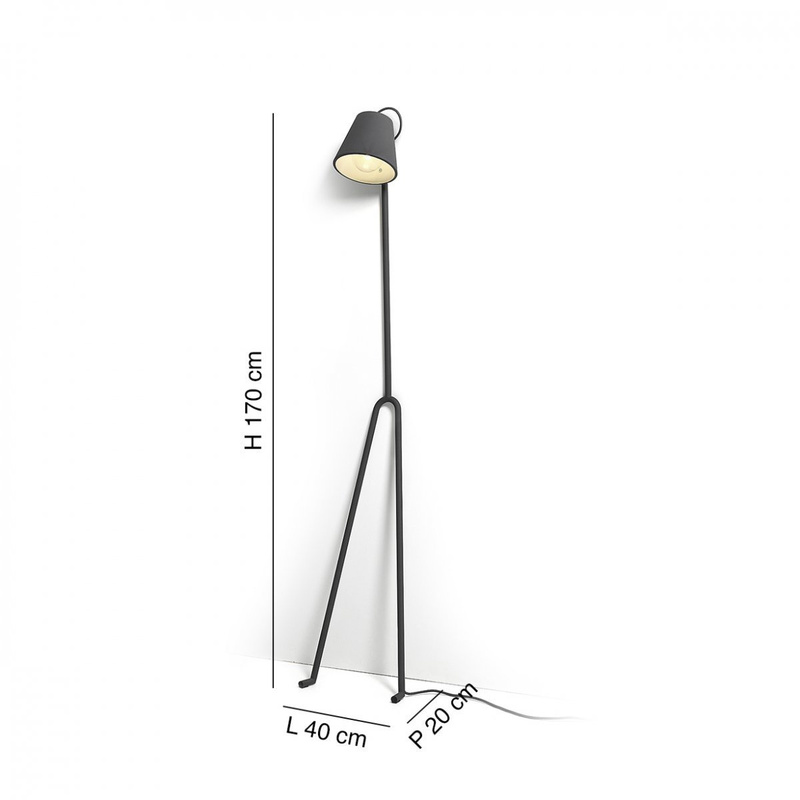 This floor lamp is perfect even in young professional spaces, where it decorates the surroundings with elegance and sympathy. In creative offices, as well as in fashionable pubs, it is an element capable of merging with the space and interpreting it in the right way. 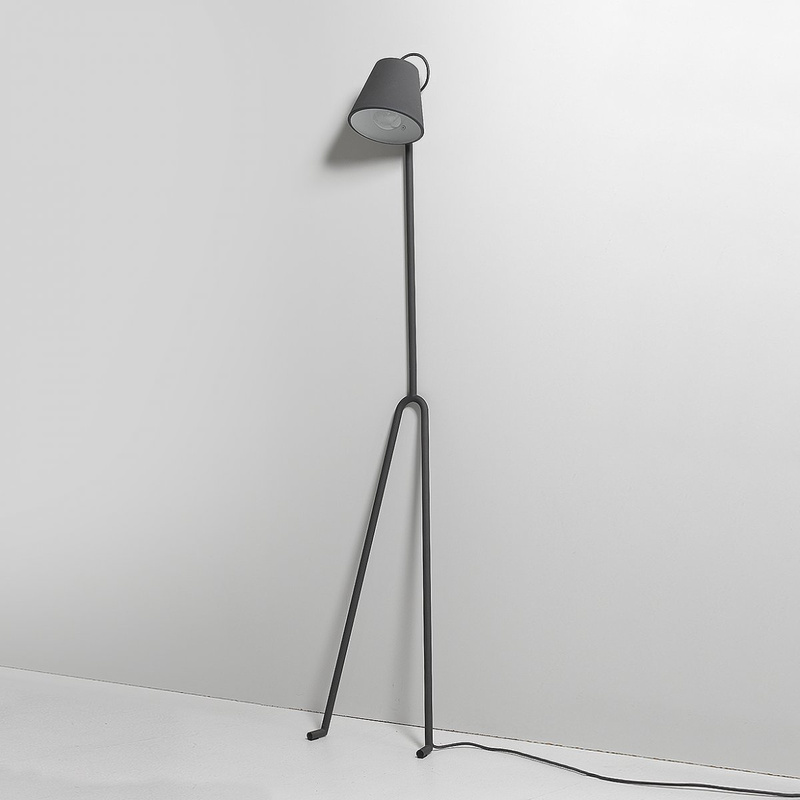 Mañana, the floor lamp by Design House Stockholm, is a perfect gift for those who love objects that can surprise for originality and perfection of design. 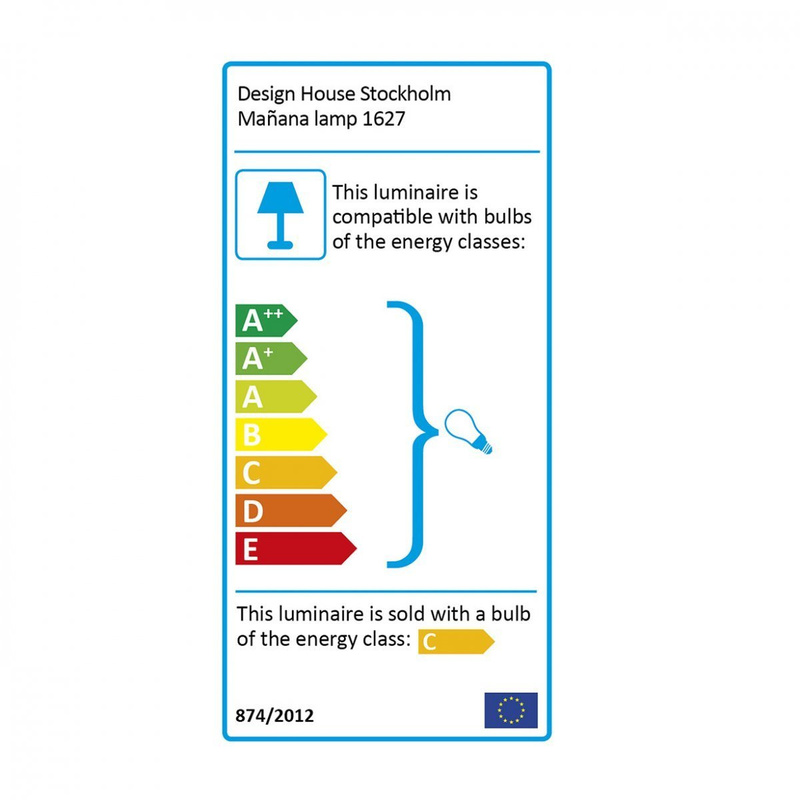 Information: light bulb E27 42W 3000k included; cable length 2 m; for the UK market adapters are required.